Exceptional food and mouth-watering wine are part of the experience at Spring Hill Estate by Lancemore. 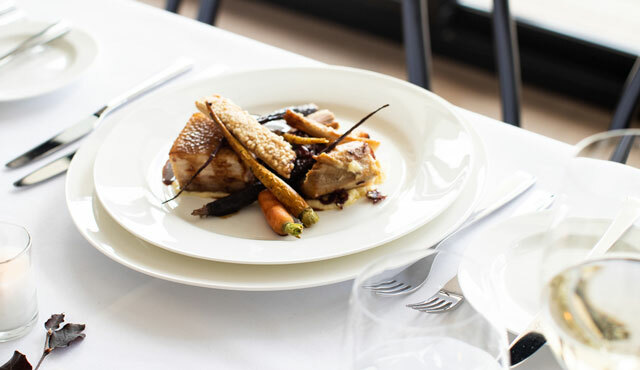 The talented culinary team, led by Executive Chef, Travis Ray, take inspiration from their surrounds, using fresh and seasonal local produce to showcase the bountiful Macedon Ranges and to deliver unforgettable Modern Australian cuisine. The delicious and hearty fare is complemented by the spectacular landscapes and unique dining experiences that Spring Hill Estate offers. Indulge in a Chef’s Tasting Menu as you take in the sweeping 180 degree views in the newly refurbished dining room. 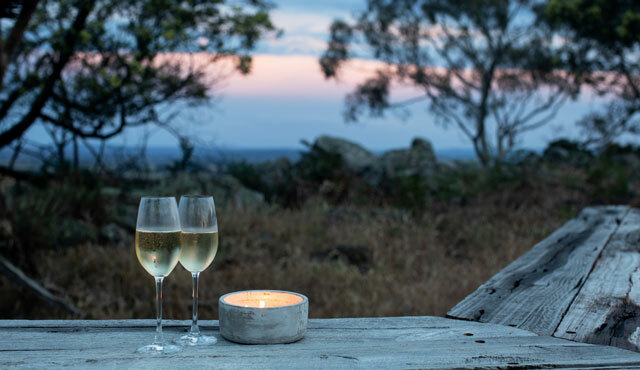 Toast a fiery sunset with cocktails and canapés at the Look Out surrounded by rolling hills. 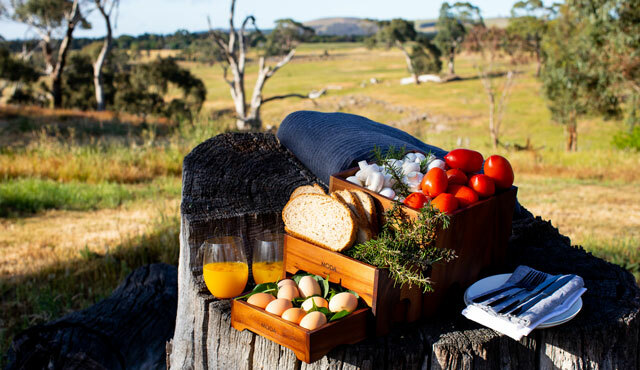 Start the day surrounded by nature with a bush breakfast. Our bespoke menus and dining options effortlessly cater for both intimate groups and grand celebrations. 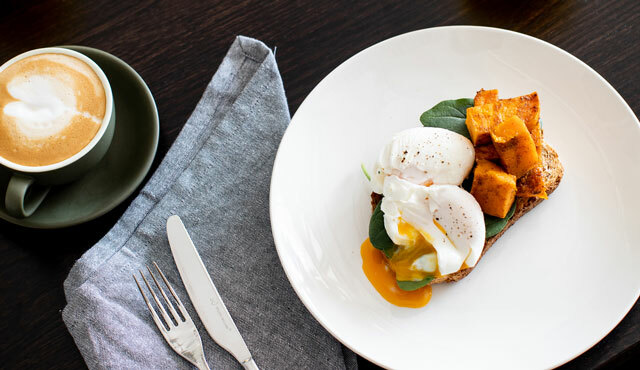 Our James Halliday-rated Lindenderry Wines will perfectly complement your menu of choice. As a working vineyard, Spring Hill Estate produces the vintage for Lindenderry Wines’ pinot noir, pinot gris, and rosé.